Advika Web Offer Cost Effective Windows Dedicated Server Hosting with reliability and 24/7 technical support. Advika Web cheap dedicated server hosting plans in both windows and Linux operating systems. Any findings and possible solutions will be reported. Any Questions ? Here Are Our Answers. How long does Dedicated Server provisioning take? 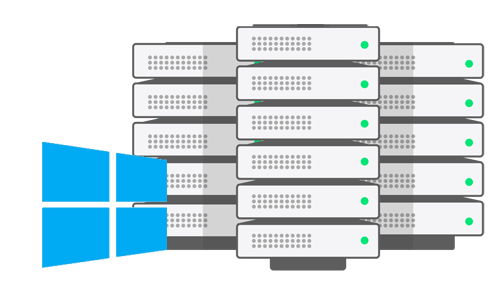 Your Dedicated Server will be provisioned within 48 working hour, but in some cases please allow up to 72 hours. Please ensure your billing information is accurate otherwise provisioning may be delayed by our anti-fraud systems. If you do not receive an email after payment, please check your spam/junk folder. You can also find a copy of any email we have sent you in your WHMCS Client Area. We offer various types of Operating System, from Windows to Linux. Feel free to open ticket if you need an OS template that is not listed. Will I have full root access to my dedicated server? Yes, you have full control over your dedicated server with root/SSH access on Linux servers and administrative RDP access on Windows servers. Do you make regular backups of customer dedicated servers? No, We are not take backup our customers servers. You will need to consider our ftp backup solutions. We accept Bank Transfer - Demand Drafts, Netbanking , NEFT, Debit Card, Credit Card, Paypal and 2Checkout. No, Please note that there are no refunds are provided when a TOS breach has occurred. Due to the nature of our industry, we do not offer refunds for dedicated servers.